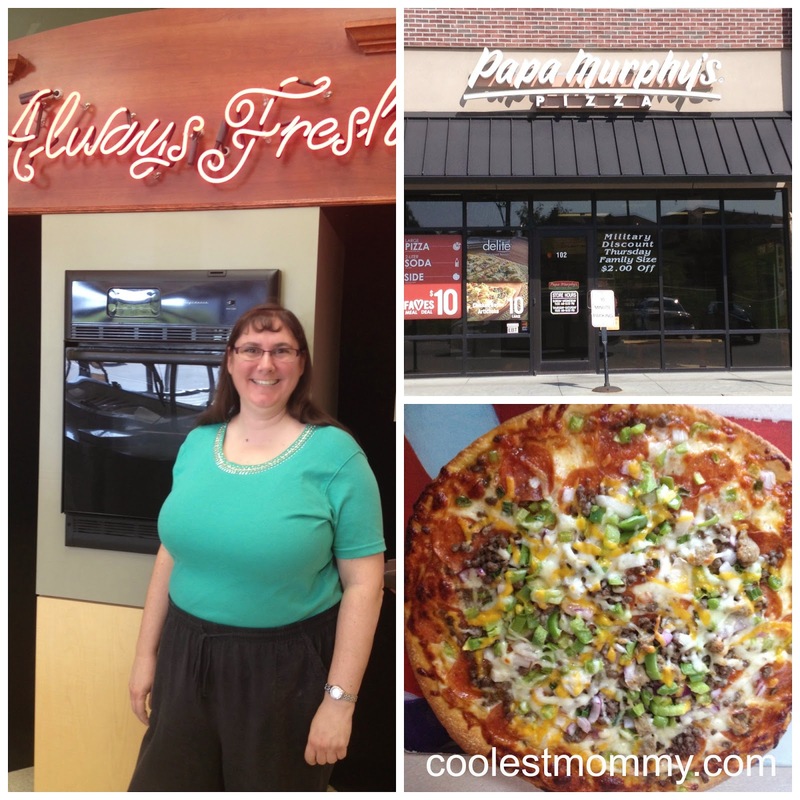 Disclosure: As a Papa Murphy's Mom, I was provided a behind the counter tour in exchange for a review. What is better than pizza for dinner? store and the pizza that I got to make. I was able to tour the Samson Way location in Bellevue last week and I was truly impressed. Dan, the district manager, took us on a Behind the Counter Tour and gave us access to everything in the store. I took the tour with Nicole who blogs at MomSavesMoney.net and we had a blast. I learned all sorts of things I never knew about Papa Murphy's. There are no freezers in any Papa Murphy's location. This guarantees you receive fresh product since there is only a walk in cooler. 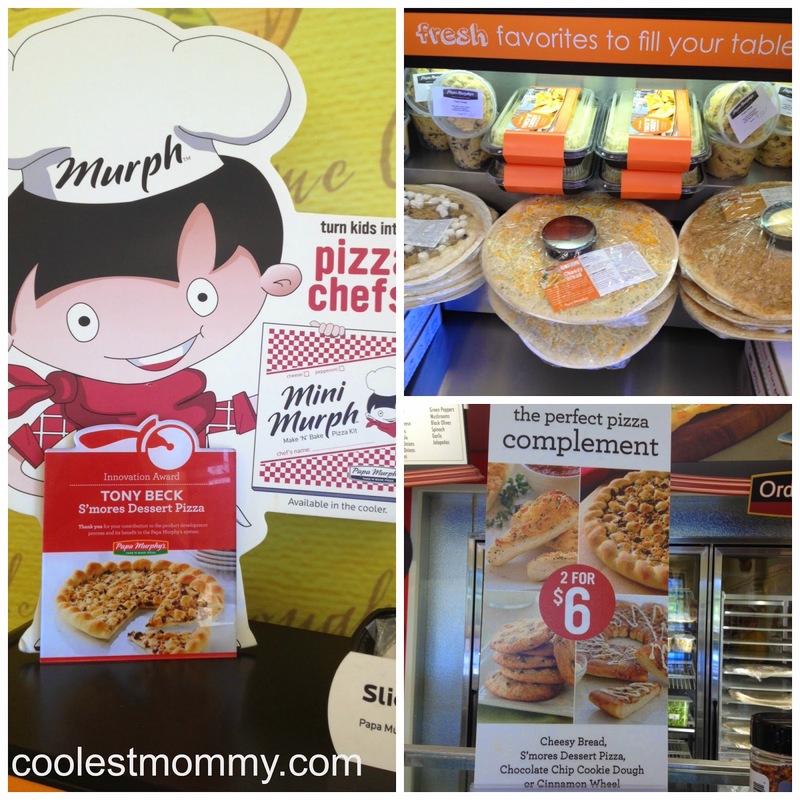 Papa Murphy's is an international chain. Cheese arrives in blocks and is freshly shredded in house. Veggies arrive whole and are cut in store. Papa Murphy's takes pride in their customer interaction. Gluten Free pizza now available. It comes premade and is wrapped before arrival to cut down on cross-contamination. Please pop over to Nicole's post at MomSavesMoney.net. Here's a few photos of the prep area. as he puts them in the cooler. Nicole and I both had the opportunity while we were "behind the counter" to make a pizza for our families. I chose a Murphy's Combo (no mushrooms and no black olives) on a pan pizza crust. I hadn't tried pan pizza there before. I don't know if I'll ever go back to regular crust! There's a butter and garlic sauce on the bottom that is divine. I can't describe how delicious it was. My finished pizza is in the first picture at the beginning of this post. It was DELICIOUS!!! I also tried the 'pink sauce' and loved it, too. If you want to get daring at Papa Murphy's, go pink. It's 1/2 red and 1/2 alfredo sauce mixed together (hence the pink name). Although they really use about 2/3 red and 1/3 alfredo because the alfredo is so rich. 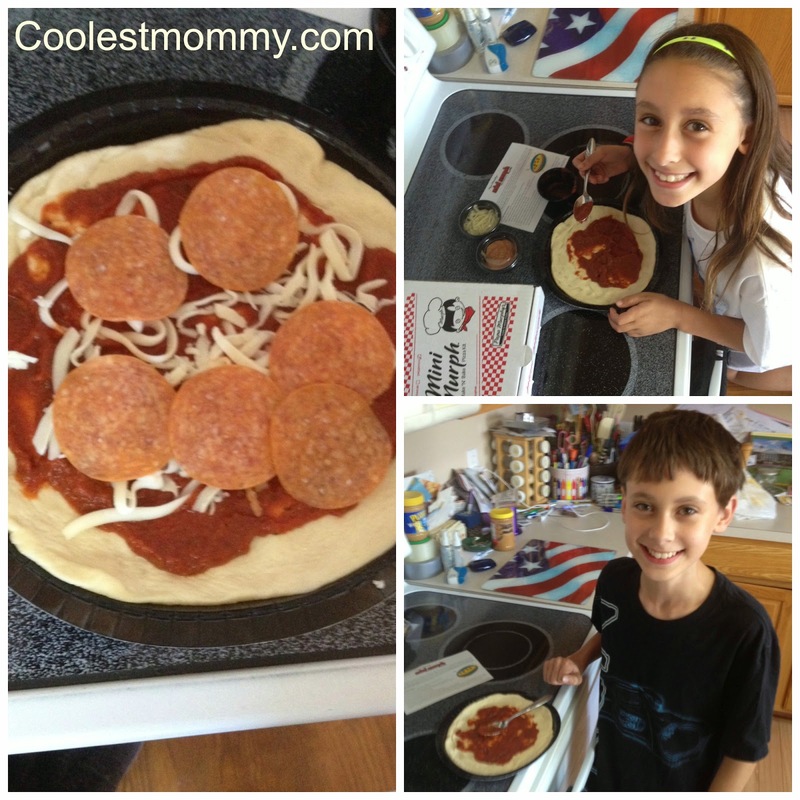 It really brings out the flavor of both quite nicely and adds richness to the pizza. Not to be left out, my little ones got to make their own Mini Murph at home. They loved it! Rebekah's pepperonis were decoratively arranged in a happy face design. Nathan took the remaining pepperoni's from her plus his own to totally cover his pizza from end to end. They agreed they are the best pizza chef's in town. A Mini Murph is only $4 for the first one and $3 for each additional pizza. That's less than I spend on individual pizzas elsewhere and they have such a sense of pride in making their own food. It's an easy way to give them some kitchen training and I find they eat a lot more of the pizza when they made it. Who would like to try Papa Murphy's now? If you live in the Omaha Metro area, enter the giveaway for a chance to win a Papa Murphy's Meal Deal. Please note the locations where this deal can be redeemed. my favorite pizza at papa murphys is the cowboy pizza! I'm excited to try the gluten free pizza!